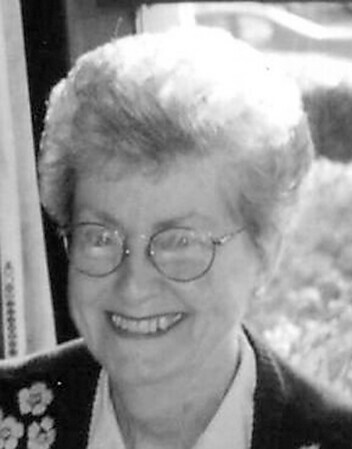 Marion June Plagemann, 85, of New Britain, widow of Ernst Plagemann, passed away peacefully on Tuesday, April 2, 2019, at Autumn Lake Healthcare. Born in New Britain, she was a long time New Britain resident. Marion was the salutatorian of her graduating class at Southington High School. She was employed as a registered nurse at New Britain General Hospital and later at Smalley Elementary School, before retiring. Marion was an active member at St. John’s Evangelical Lutheran Church, where she was a member of the Ladies Guild. She was a former member of the church choir and the Luther League. Surviving are two sons, Eric Plagemann of Wallingford, and Ernie Plagemann of New Britain; a sister, Nancy Kowalski of Meriden, and a brother, Bob Keene and his wife, Donna of Southington; and a granddaughter, Serena Plagemann. In addition to her husband and parents, she was predeceased by a sister, Janet Burtasket, and by a brother, John Keene. Funeral services will be held on Tuesday, at 11 a.m. at St. John’s Evangelical Lutheran Church. Burial will be in Fairview Cemetery. Calling hours are Monday evening, from 5-7 p.m. at Erickson-Hansen Funeral Home, 411 South Main St., New Britain. Memorial donations may be made to St. John’s Evangelical Lutheran Church, 295 Arch St., New Britain, CT 06051. Please share a memory of Marion with the family in the online guestbook at www.ericksonhansen.com . Posted in New Britain Herald, on Friday, 5 April 2019 19:13. Updated: Friday, 5 April 2019 19:16.